Surprise, motherfuckers! Your summer travel plans are about to get all kinds of messed up. Ha ha, wait, that’s not a surprise. 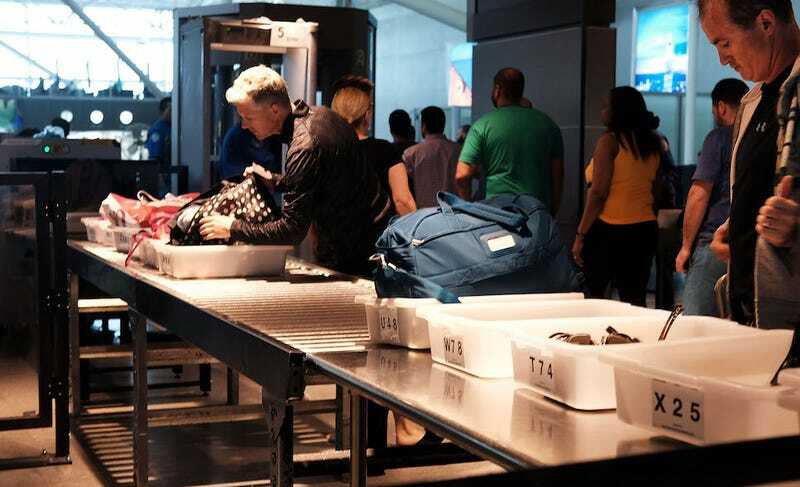 On Wednesday, Peter V. Neffenger, the head of the Transportation Security Administration, appeared before the House Homeland Security Committee in an attempt to explain why the country has suddenly been plagued with even longer airport lines than normal. Perhaps unsurprisingly, he proceeded to take a sledgehammer to the dreams of millions of Americans with summer travel plans, the New York Times reports. Travelers will likely continue to slog through long wait times, he said, because the agency is anticipating a surge in summer travel. Those passengers in Chicago are no doubt thrilled right now. “We are at a lower staffing level than we need to be to address peak demand,” Neffenger told Congress, according to the New York Times. This comes despite the fact that Congress has given the agency $34 million in funding, which will help hire an additional 768 screeners. Members of Congress weren’t pleased with the TSA’s tepid explanations. “This is not a new rodeo,” committee chairman Michael McCaul said. “Why didn’t we see this coming?” Great question, Mike! The TSA has had a rough couple of weeks. It recently fired its head of security for incompetence, and it was taken to task by the Port Authority of New York and New Jersey, which is not known for being too great itself. And let’s not forget how TSA blamed passengers for its problems. It’s cool, guys. Just go back to your Donald Trump rallies while the rest of us wait in line for the rest of time.